Dogs stuck indoors may develop the wintertime blues. Dogs thrive when they have a job, so practice basic obedience skills daily and add in new tricks. Seasonal affective disorder is a well-known phenomenon in humans. But pets, especially dogs, can suffer from wintertime depression, too. Because of short daylight hours, inclement weather and cold temperatures, they have fewer opportunities for outdoor exercise and play. The long-time pet professional has several suggestions for helping an active pet endure the rest of the winter. Give your dog a problem to solve. Treat puzzles provide mental stimulation, rewards to keep her engaged, and are available in a range of types and difficulty levels, like these treat toys. Invest in electronic pet fencing. “When you arrive home from work on a cold, dark night, it’s great to be able to let your dog out for a romp in the yard while you watch from the window, knowing he’s protected by an Invisible Fence® system,” Corum adds. For more information on ways to keep the family dog healthy, safe and happy year-round, visit http://www.caninecompany.com. 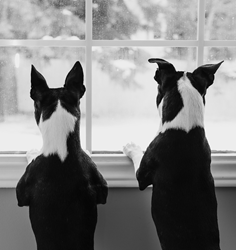 Born of a family's love for dogs, Canine Company provides at-home services to pet-loving families across New England, New York and New Jersey. Offerings include the Invisible Fence® brand systems, Manners dog obedience training, and mobile grooming and pet sitting in select markets. Its charitable Canine Love campaign supports pet rescue groups and donates pet oxygen masks to first responders.